Over time, our skin can show the signs of ageing, such as fine lines and wrinkles, dullness, age spots and hyperpigmentation. Maintaining a good, regular skincare routine and healthy lifestyle will all contribute to keeping skin healthy but when more intensive treatment is needed, what if we could turn back the clock without having to undergo invasive surgery or lengthy downtime? 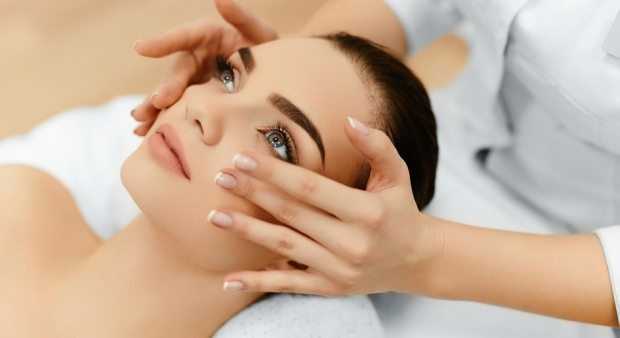 Here at The Spa at Bedford Lodge Hotel, our expert practitioners can offer a range of facial treatments to improve a variety of skin conditions and concerns. For the treatment of ageing, we offer Lightfusion™, a revolutionary anti-ageing LED facial treatment which uses phototherapy and a hydrogel mask to target a variety of skin imperfections and improve skin texture and tone with no discomfort, no downtime and offers fast and lasting results. The Lightfusion™ device is applied to the face, following a deep cleanse and application of the hydrogel mask. Two light wavelengths are simultaneously activated and the skin cells absorb these wavelengths and biologically alter, resulting in improved blood circulation, instant hydration and firming and tightening of the skin. Lightfusion™ can be offered as a stand-alone treatment or combined with Medical Microdermabrasion, peels and facials and as a recovery treatment, following injectable procedures such as Dermal Fillers. How do I know if I am suitable for Lightfusion? Most people are suitable for Lightfusion™ as it is a non-invasive procedure which offers all skin-types an improved look and feel, however, prior to treatment, you will be required to attend a consultation to discuss your medical history, your suggested course of treatment and the results you can expect from the treatment. Lightfusion™ as a stand-alone facial treatment can take between 30 and 60 minutes. Lightfusion™ offers no discomfort and does not emit heat, making it a very relaxing and pleasant experience. Plumper, more hydrated, youthful skin with improved tone and texture can be experienced after one treatment. However, a course is recommended to achieve the most impressive results. Maintenance sessions are also advised, following your initial course. How long do the effects of Lightfusion™ last? With the correct, advised course of treatment and maintenance sessions, results can last several months. There is no downtime or side-effects with Lightfusion™ and you can return to your daily routine immediately after the treatment. A facial treatment cream will be supplied to you which you will use over-night, on the day of your treatment. This will allow the skin to benefit from the light therapy for hours following the session. If you’re seeking Lightfusion™ treatment in Cambridge and Newmarket, Suffolk please don’t hesitate to get in touch. For more information on Lightfusion™ and to arrange a consultation, please call us on 01638 676130.